Holly's going to come over after we see Telegraph Canyon Friday night and I'm hoping we'll be working on putting our junk in the built-in. I've been peeking at I Suwannee's bookcase of the day collection for inspiration a lot lately. I think her very own shelf shuffle is inspiring me the most right now. 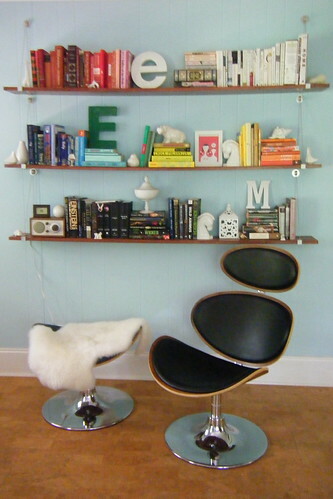 Need some ideas for your bookcase or shelves? Shake it, baby don't break it.